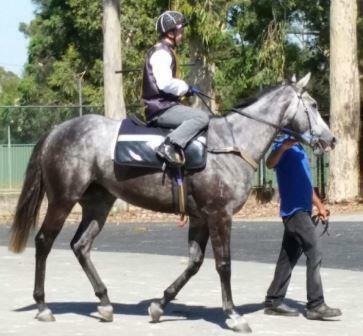 D'Grammy will start at Caulfield Saturday Ted, so maybe one more 2yr old win. Hope Fidelia runs well for you Ted. Picked her dam to follow years ago. She cold $160K and only won back about $48K but she's been a fairly good broodmare with five winners from six to run. The best runs in HK and is just over $600KAUS. That should read sold I'm obviously still asleep or just cold and fingers and brain not working! Just realised that’s three wins on debut from three starters for me in this comp, with High Ratio and D’Grammy both first start winners too! You could win this comp. Go for it. THis has been a quiet comp so far. It was hard to find anything of value in the sales as prices rose so I for one didn't get what I wanted. So the fact you have winners up and running is great. Yes they have a way to go but my stable is hopeless this season - unless they all are middle distance runners and I haven't noticed anything of note in the other stables yet. Sorry Dizzy forgot that one. He is a special colt so VIncent has a big chance with me cheering from the sidelines. Wasn't game enough to put one in that was so dear so good luck to him. But three winners at this stage is also very good result for Ted. It's hard to pick a two year old winner when more than half the sales haven't even placed at this stage. Have just been reading the recent posts and realize I made a mistake. 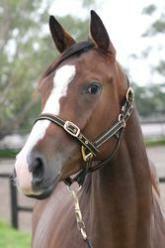 The Redoute's Choice colt sold for $700k, however I somehow entered the sale price for the prior lot (No 45) in error. So I'm over the limit, and if it's acceptable can I delete the Sweet Maggie, Kim Classic (her foal is deceased) and Danrego selections please. Vincent, you will still be over by $70k....if you want to re-pick the ones that haven't started, with new non starters? Otherwise another will need to go. Thanks Dizzy. Also wanted the Sweet Maggie deleted. I'm fully expecting to come with a wet sail with a minimum 3 classic winners. If optimism payed, all us deluded owners of unraced nags would be rich. BOL Vivarchi. Most of your selections suggest you have plenty of patience. I haven't got that excuse with a Dundeel, Choisir, Spirit of Boom, Snitzel, So You THink and Redoute's CHoice. Some may come good but I think I might have a bit of a quite time with this stable. Hmmm... so this one of mine is up on bloodstockauction - blind in one eye, you can't race in Australia if that's the case right? newly named, and this one sold to HK for $150k if you want to take the money bradjm?